What does fake it until you make it mean? It does not mean to be someone that you are not (outside of your value system). It is always important to be your genuine self, but develop the mentality that you can do what you set your mind to doing. If you want to write a book, when are you starting? I you want to change jobs, have you sent the first application? If you want to obtain a degree, have you talked to the financial aid office (or applied for your first class)? You can do this. 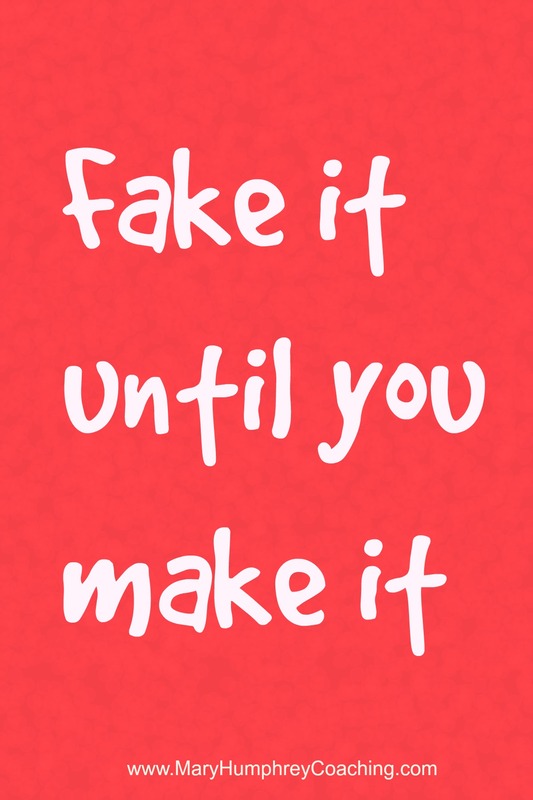 Fake it until you make it. Be the person that you intend to be today. Guess what? This person is you, you just need to give her permission. From an article that I wrote several years ago, “We have so much to give, so much we can do with imagination. We are the master gardeners at whatever we do. We are writers because we think we are. We are weavers because we think we are.” Do your research and take the step! What can you do today for your tomorrow? What do you want to do today, and is something holding you back? What successes have you had in your life where you “faked it” through steps in the process? Introvert or Extravert? The importance of understanding.